If you are looking for information on the Diet Center franchise business opportunity, Diet Center franchises or Diet Center franchising, then you have come to the right place. There is no better time than the present to consider owning and operating a Diet Center® franchise! With an estimated 50 million Americans dieting at any one given time, while health care professional continue to remind us of the health risks associated with being overweight why not consider a business opportunity that focuses on helping people experience the enormous benefits of reaching a healthy weight? If you are looking for a franchise that combines your strong business skills with a proven operating system, owing a Diet Center® may be right for you! With more than 36 years of experience in franchising weight loss centers across the U.S. and CANADA, the Diet Center® Franchise Corporation has a proven operating system that has guided and supported hundreds of franchisees to success since 1973. Established brand name with over 36 years of success! Exclusive Software, Signature Programs & Signature Products! All Inclusive online marketing system that provides you with all of your advertising materials! Complete Business System, Training & Grand Opening Support! Program sales! 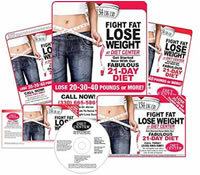 We offer 4 unique, effective, weight loss programs. Product sales! Over 75 profit generating products. Internet Sales! Receive credit for sales from the Internet processed in your exclusive territory. LOW START UP COST & OPERATING COST! LOW FLAT FEE VS PERCENTAGE OF REVENUE! If you are ready to stake YOUR claim in an industry that is poised to top the $37 billion dollar mark, you will be aligning yourself with an established name that represents the most current developments in dieting, nutrition, and weight control. We are looking for caring, compassionate, and dedicated business savvy individuals like you, who would like to provide these high quality programs and products to clients in their local community.